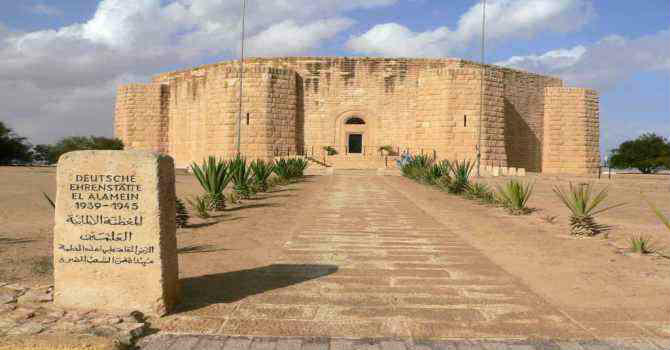 We will pick you up from the cruise exit in Alexandria port then drive approximately 110 Km to explore the World War II remains and cemeteries, El Alamein Battle is one of the most considerable confrontations of the World War II. Stop first at the Military Museum including great exhibition of weapons, military garb and tanks. Also you will witness a demonstration of Montgomery, Rommel and the actions of others partakers in this battle. Get your lunch meal then continue to wander the WW II Cemeteries, situated at the west of the town in small peninsula overlooks the sea. The castle like cemetery is the burial place for Common wealth, Greek, Italian & German soldiers. End the day driving back to Alexandria port.